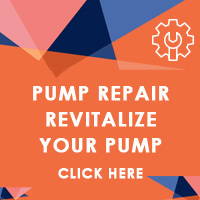 Our new pump repair program will BREATHE NEW LIFE IN TO YOUR OLD PUMP! it is a great way to get your pump running like new again. If your pump is not working or just needs a tune up after years of use. This Program is for you. You may think you old pump needs to be replaced but the fact is that in most cases you don't, we can repair your old pump for a fraction of the cost of a new pump. It is also a great option if you just want to have a backup pump, and not spend a lot of money on it. It does not matter if it is one of our Evolution Series pumps or some other brand, we can Breathe new life into it on most brands of pumps such as Sequence, Performance pro, Little Giant, Hayward and many more. In most cases we can fix it and Breathe new life into your old not working or leaking pump and make it run like new again in most cases. The average prices for this process is only $130.00 to $190.00 including return shipping back to you on most pumps. This repair program is Risk free. If we cannot repair your pump you will pay us nothing! And we will give you $100 towards one of our new pumps.